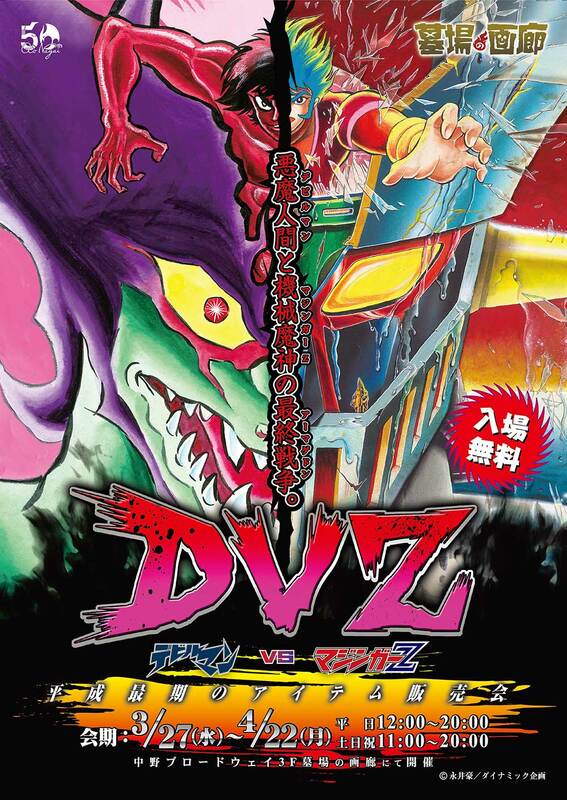 “DEVILMAN VS. MAZINGER Z” IN TOKYO! The final battle in Heisei era between Devilman and Mazinger Z is about to outbreak in Tokyo! 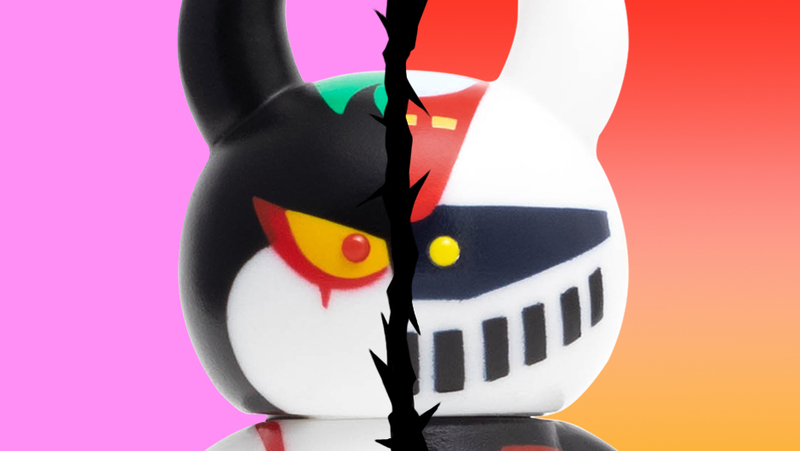 At the battle field “Hakaba No Garou” you can find great bunch of new items from key rings to apparels by designers and creators and especially for this opportunity we prepared white version of “Devilman Uamou” and “Mazinger Z Uamou”!! Don’t miss out the limited chance to get those exclusive products! 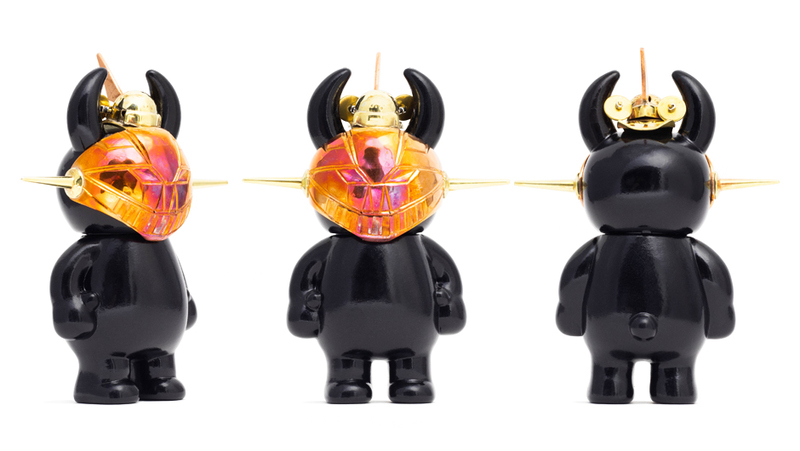 The Mazinger Z masked Uamou is part of the long running Masked Uamou series created by a jeweler, Minoru Takagi. Even within the masked series this particular entry is quite particular. The masked is shaped in a rectangular fashion accentuating the features of Mazinger Z. The mask is carefully hammered into shape and engraved in high detail including a tiny Hover Pilder resting on top of the mask. Please come and see his mesmerizing work in person! 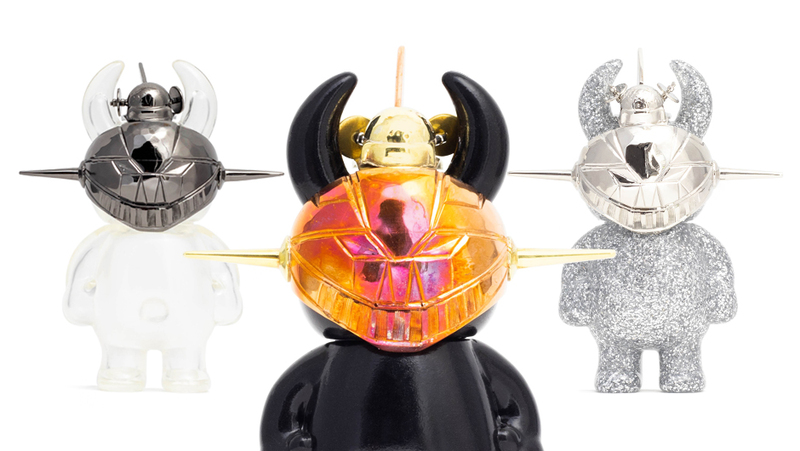 ※ Products of Studio Uamou will be available from March 30th (Sat).